The fifth episode of Glow Up did not disappoint! The theme was Drag make-up. 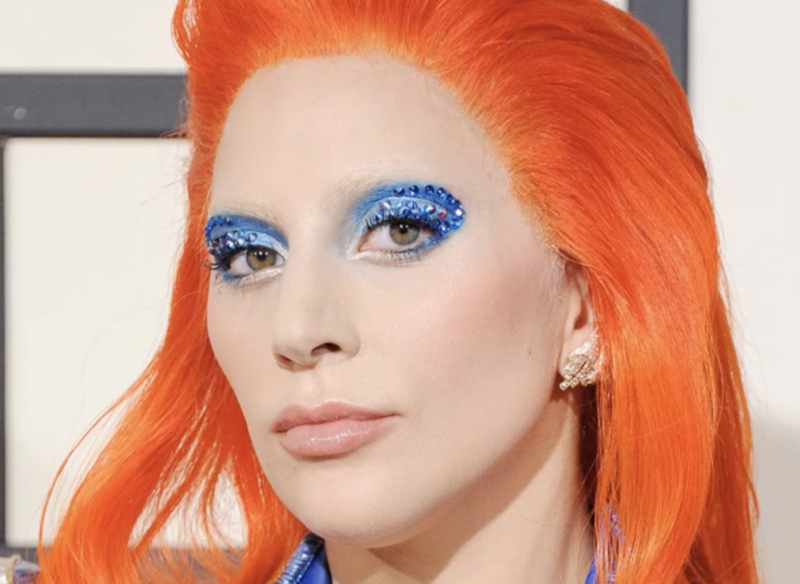 This is an area of make-up that many people think of but few understand how skilled, transformative and steeped in history this make-up style really is… From beauty techniques used today, pop culture icons to fashion make-up looks, they all stem from drag make-up. We hosted our own Drag Masterclass last month with Drag Queens Tom Scanlon and Steven Cleverley – you can read all about it here. We learned that the term ‘Drag’ dates back to Shakespeare’s time where men had to play the parts of women in the theatre; Drag literally means “dressed as a girl”. The make-up on drag queens has to make the face look feminine, dramatic and suitable for the stage. To be good at drag make-up, the artist needs to understand facial anatomy, expert blending and which products work well with sweat and strong lighting. This is not a simple or straight forward job. Guest judge on this show was South Korean-Amercian drag queen, Kim Chi. Known for her immaculate and daring make-up looks when starring in RuPaul’s Drag Race, Kim knows a lot about drag make-up. With three million followers on Instagram, Kim creates some of the most arresting drag make-up looks we have ever seen. The second task was the creative challenge where contestants had more time to prepare and apply their make-up. This challenge was all about exploring gender through the power of make-up. Val wanted to see “Kings, Queens and everything in between”. 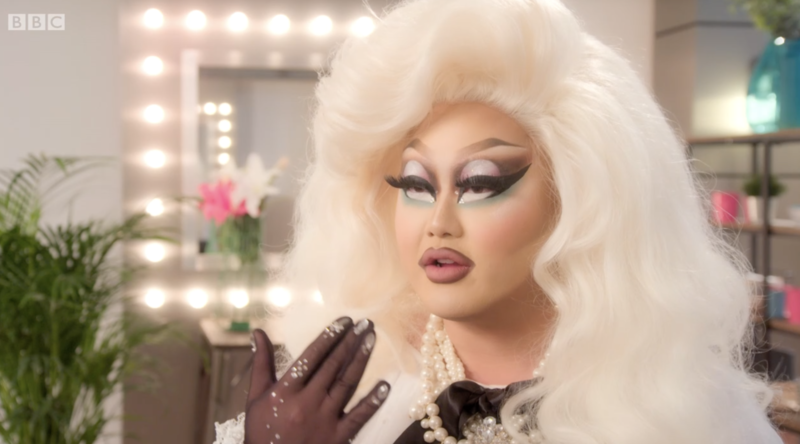 Kim Chi explained how drag is all about “creating art through gender and transformation”, so naturally this challenge was a very fitting one for the episode. We loved seeing the contestants give their take on this brief, showing the ambiguous and creative ways to interpret gender. Ellis really wowed the judges, and what we liked the most about his work, was how he dressed the wig! The colour, shape and texture of the wig he chose really worked with the primary colours in his design. Next week we cannot wait to see the fashion show episode. This episode shows the key skills needed for any make-up artist to succeed backstage at fashion shows. Check in next week to read our low down on the sixth episode of Glow Up, which is available on BBC Three via iPlayer and will also air on BBC One at 10.35pm.